How you dress and present yourself is key to a professional image and personal brand. I help organizations understand how personal presentation supports career growth, how clear dress code guidelines can enhance morale, and how to use style to influence the presence of leadership. DRESS CODE CONSULTING - Whether it's evergreen guidelines or event specific, clearly communicated dress code standards ensure that everyone is aligned and on brand. I can help your company create succinct and understandable communication regarding employees' dress in the work place or wherever they represent your business. LUNCH & LEARNS - If you think your employees would benefit from learning how to upgrade their style in the workplace, or how to dress for that ever-important next level interview, I can show them how style influences perception, and when (and how) to use it to their advantage at work in a 30-45 minute lunchtime presentation. 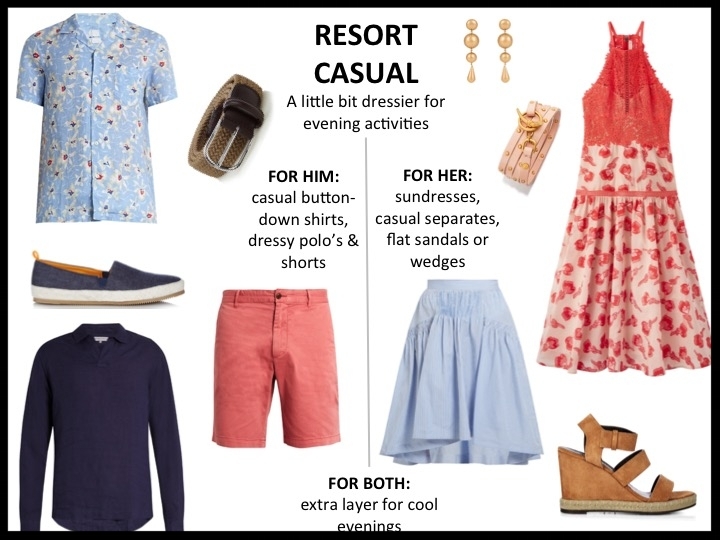 SPECIAL EVENT DRESS CODES - Do you have an incentive trip or global conference that requires specific dress for workday or social activities? Is it often challenging to describe 'business casual' to your overseas peers? I can create 'visual dress codes' with illustrated examples that relate style guidelines to a global audience, tailored to your unique industry or event. EXECUTIVE STYLING - Your leadership team represents your brand to a global audience. I can help them to enhance their personal appearance, so that it aligns with the corporate culture and supports their executive presence. Everyone has experienced the dilemma of what to wear, or the challenge of how to find clothes that work for them - so the topic of style is fun and unique for a group event or activity. Based on your needs, we can plan a keynote presentation, a lunch and learn, or an entire evening devoted to style, shopping and social time. KEYNOTE PRESENTATIONS - With topics ranging from fall fashion trends to style for small business owners, I've entertained audiences with style tips, tricks, and best practices to put their most stylish foot forward on a daily basis. I'll work with you to tailor a presentation specific to your audience that can be part of a planned meeting or a complete style event. LUNCH & LEARNS - Sometimes a quick shot in the arm is all your group needs, and I can provide that with a 30-45 minute lunchtime presentation. I'll gear the topic toward the needs of your group and in the course of a lunch hour, they'll have tools they need to bring their style to the next level. Fees for Corporate Services and Events/Presentations vary based on scope and availability. Contact us for more information.